A month ago, on May 25, a large mudslide rushed down a Colorado mountain near the town of Collbran covering an area three miles long and one-half to three-quarters of a mile wide. 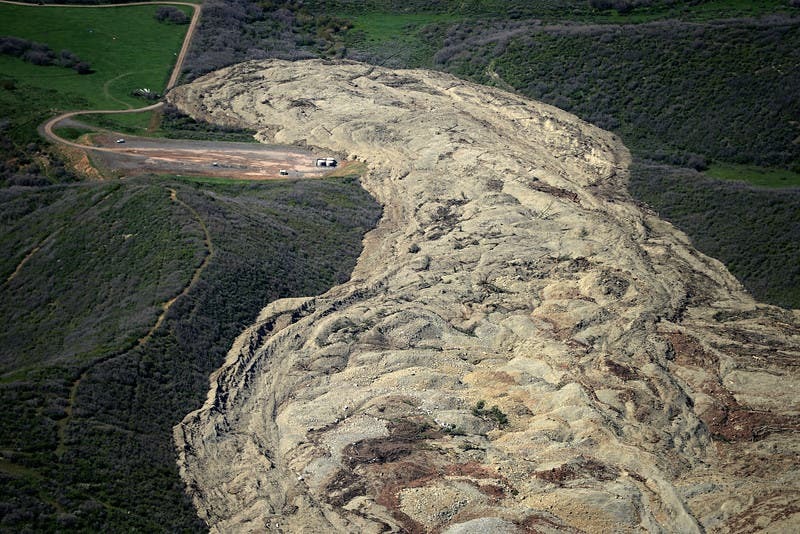 It claimed the lives of three ranchers, caused a small earthquake and covered an area three miles long and one-half to three-quarters of a mile wide. You can see the huge extent of the mudslide in the pictures above, which was taken by the Landsat 8 satellite on June 7. 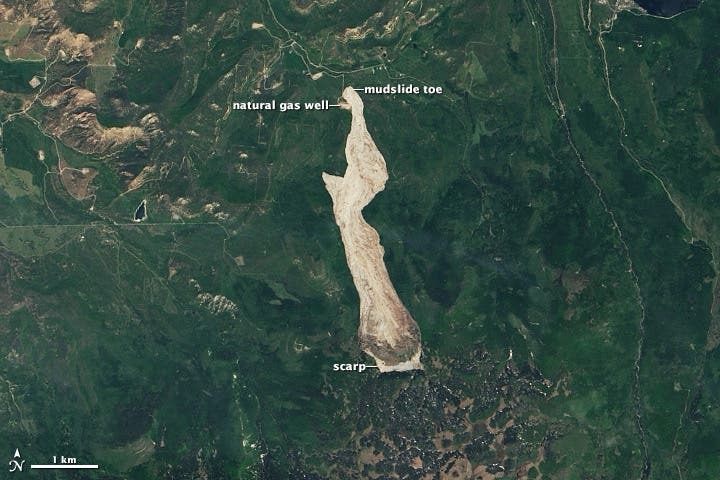 The lower image, taken by Landsat 8 on June 20, 2013, shows the slide region before the slide; on average, Colorado experiences thousands of landslides each year, but very few reach this magnitude. This region in particular, the Grand Mesa region of western Colorado, is extremely prone to landslides due to the underlying geology. What we have there is a heavy layer of basalt ontop of soft claystone that erodes easily. When the water starts to erode the claystone, the basalt above starts to slip, catching more and more mass in its movement; the phenomenon is more prone in the spring, when there is a large quantity of water around from meltoff and increased rainfall. Image via Baum and Odum, 1996.